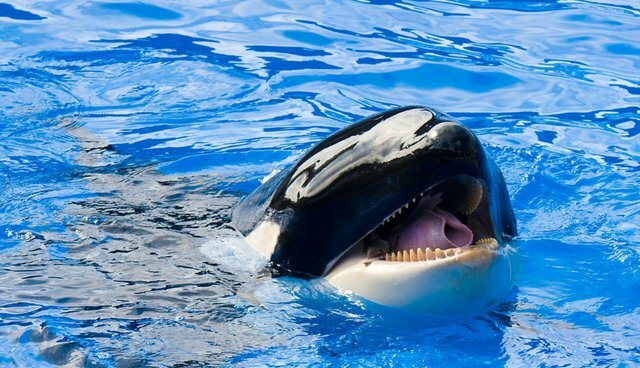 SeaWorld's public relations team is yet again jumping blindly into the wild waters of the internet - only to be met with a virtual tidal wave of backlash. As part of a revamped ad campaign, the company, which has been heavily criticized for its treatment of captive orca whales, created a website to answer the public's questions. Using #AskSeaWorld, Twitter users can ask anything, and SeaWorld will post it on a central site. So far, the ones posted have been pretty tame; they include "How does SeaWorld care for their killer whales?" and "How long do killer whales live?" @seaworld #askseaworld does your company have this "get away with murder" club? Is OJ there too? Do you guys talk over a seafood platter? Others just came right out and said it. #AskSeaWorld So it's normal for a baby to be forcefully taken from it's family & sent to a different country to live with abusive strangers? ... and the documented animal welfare issues at the park. #AskSeaWorld Do killer whales in the wild die from mosquito-borne illness like they do at #SeaWorld? Some were shocked that SeaWorld would even invite such public criticism, given their less-than-successful history with social media. Some, like professional race car driver Leilani Munter, were outright blocked from even asking questions.